Telegram is a service for sending messages while remaining anonymous. That's something with which Russia has taken issue, and it just banned the service over it. 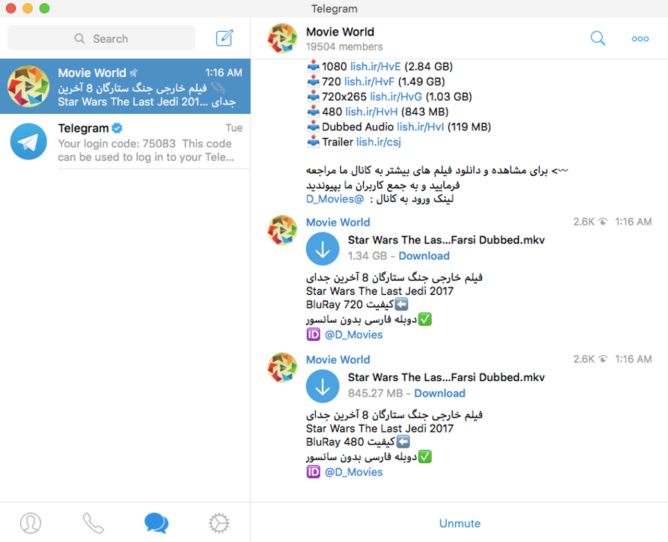 However, Telegram may also be gaining in popularity because it's an easy way to share pirated content. The Outline spoke with several Telegram channel admins who say Telegram seems uninterested in policing the files users upload. 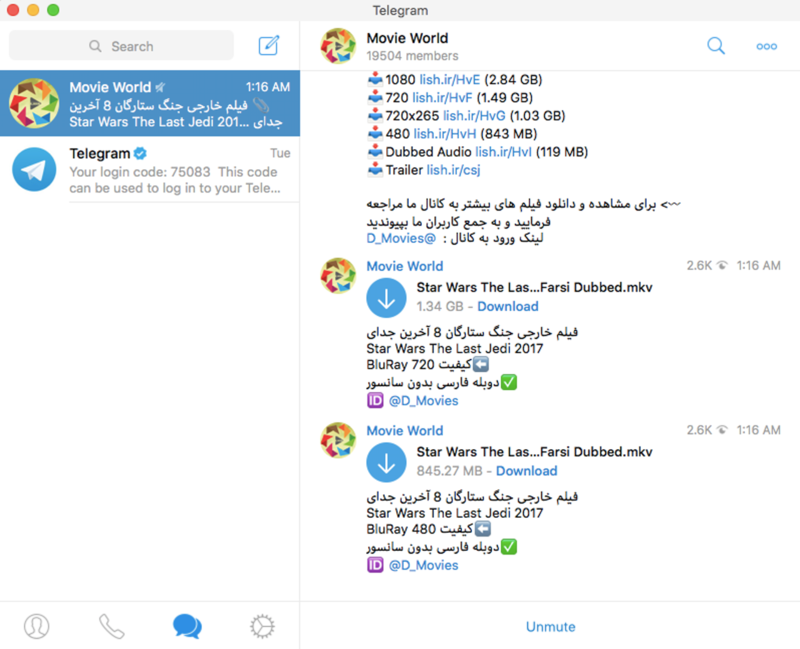 You may not even realize this, but Telegram lets users access open channels using the global search. All you have to do is search for "movies," and you get a number of groups where users are uploading pirated content. Telegram is remarkably generous with storage, too. The file size limit is 1.5GB, but channel admins can upload as many files as they want. So, there are channels that have several terabytes of content ready for direct download from Telegram's servers. Although, you can't tell what you're downloading before it's on your device. That rip of Fifty Shades might just be a few hours of Rickrolling, which I'd count as a win. So far, Telegram hasn't shown any interest in cracking down on these channels. It technically has a zero-tolerance policy for piracy, but it's only banned a handful of channels for such infractions. Telegram told The Outline it's working on improving its moderation tools, but all you really need to do is search open groups. 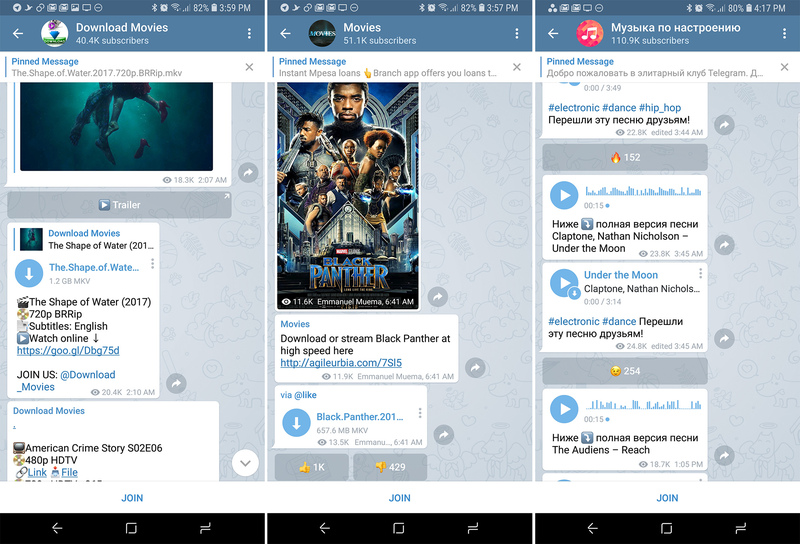 Telegram might be dragging its feet a bit, but the piracy bonanza probably won't continue forever. In the meantime, be careful what you download.